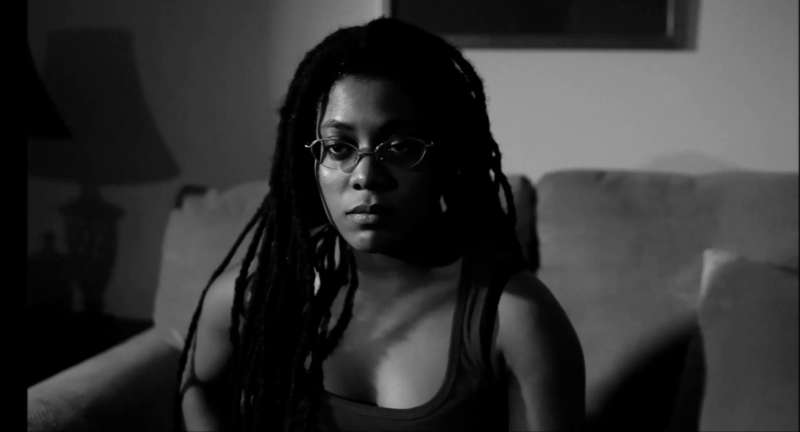 RMC Pictures is releasing a fourth short film, a psychological thriller titled “Monae’s Room” starring Delea Mowatt and JD Achille. This short film was filmed at the Brooklyn Coffee Teahouse location in Providence Rhode Island, and focuses on a single room that stirs up frantic emotions within an otherwise level-headed young woman. I over exaggerate the breakup process in this 20-minute film. I also tell the truth. Monae acts crazy, but so do so many of us when someone has broken up with us, when someone has dashed our dreams of being happy, stable and in love. People will relate to this film, feel uncomfortable or just plain laugh. It’s a dark and gritty film but humorous, with hip-hop, distorted, Drake-influenced music leading the narrative. Sean McCall composed the music for the film and the music really tells the story. Delea recorded lyrics to the song, explicit lyrics, and the film sort of looks like a music video, as many of my films kind of do. It’s hard to tell what people will think of this short film until it comes out in November, but one thing is certain: you will be engaged all the way through. Check back here once we get the exact date and venue of our film’s release. November, people! This entry was posted in Uncategorized and tagged breakup, brooklyncoffeeteahouse, deleamowatt, jdachille, love, macremi, monae's room, music video, raeshelle cooke. Bookmark the permalink.